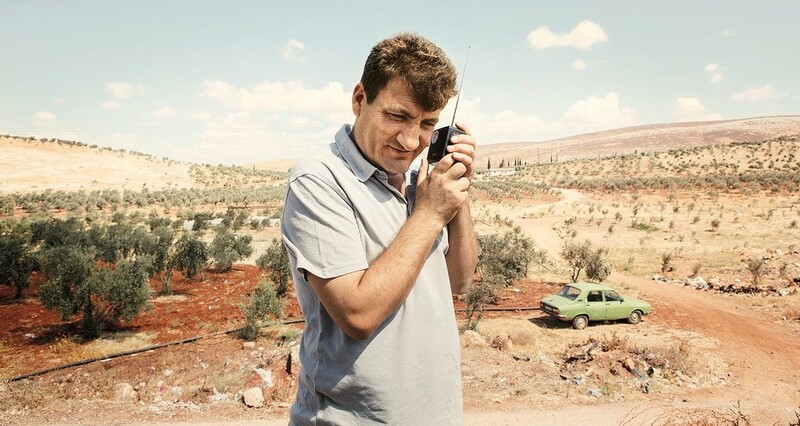 We were devastated to learn of the assassination of Raed Fares, the founder of Radio Fresh. Raed was so dear and beloved by thousands of Syrians and people across the world -- an iconic leader of the Syrian uprising and a legendary teacher in nonviolent activism. We began this campaign three months ago with Raed after cuts in international aid threatened to force Radio Fresh off air. Over the past few days we’ve had many conversations with Raed’s kids and his colleagues at Radio Fresh and the United Revolutionary Bureaus which he ran. Their message is clear. No one is giving up. Everyone wants to continue what Raed started. They have called on us to do everything we can to fund his work and keep Raed’s dream of independent radio alive. Please donate now to keep Radio Fresh on the air, and share this link with all your friends. Radio Fresh is an essential service to the community – its brave reporters discuss local issues, investigated cases of injustice, and held authorities to account. They even warn the community of incoming strikes. Raed was so determined that Radio Fresh stay on the air after the aid cuts. He wrote op-eds about the need to continue funding civil society work, he lobbied decision-makers and met with dozens of organisations. Eventually, he called on people around the world to contribute money to save the station. Raed knew his life was in imminent danger, especially in his last weeks. His work was always very dangerous, yet he enthusiastically accepted the risk. He knew that Al-Qaeda's thugs wanted him dead, and in the past month, he could feel that their noose was tightening around his neck. Fearing he might be assassinated, he gave instructions to his loyal students about how to continue what he had built. Radio Fresh will continue. The United Revolutionary Bureaus will continue. The Revolution that he taught us the meaning of will continue. Because of new rules in the EU, we can only update you about your donation if you click the ‘Yes’ button below. Are you happy to receive updates about this and other urgent actions from The Syria Campaign to support civilians in Syria? 100% of the money raised will go directly to supporting the operational costs of Radio Fresh. This campaign is organised by The Syria Campaign. We are registered as a non-profit in the UK as The Voices Project, a non-profit in Germany as Voices Project Germany and a 501(c)3 non-profit in the US as Voices Project USA. Online donations are processed by Voices Project USA and gifts are tax deductible in the United States to the full extent allowable under the law. Our Federal Identification Number is 82-350596. The Syria Campaign/Voices Project USA receives no money from this fundraising campaign and all money raised will go directly to supporting Radio Fresh.